Kampot Red Long Pepper is another specie of pepper (Piper Retrofactum). Less known than Black Pepper, it is just as interesting to use in cooking or to grind on a salad, a meat or a dessert. A product to be discovered. 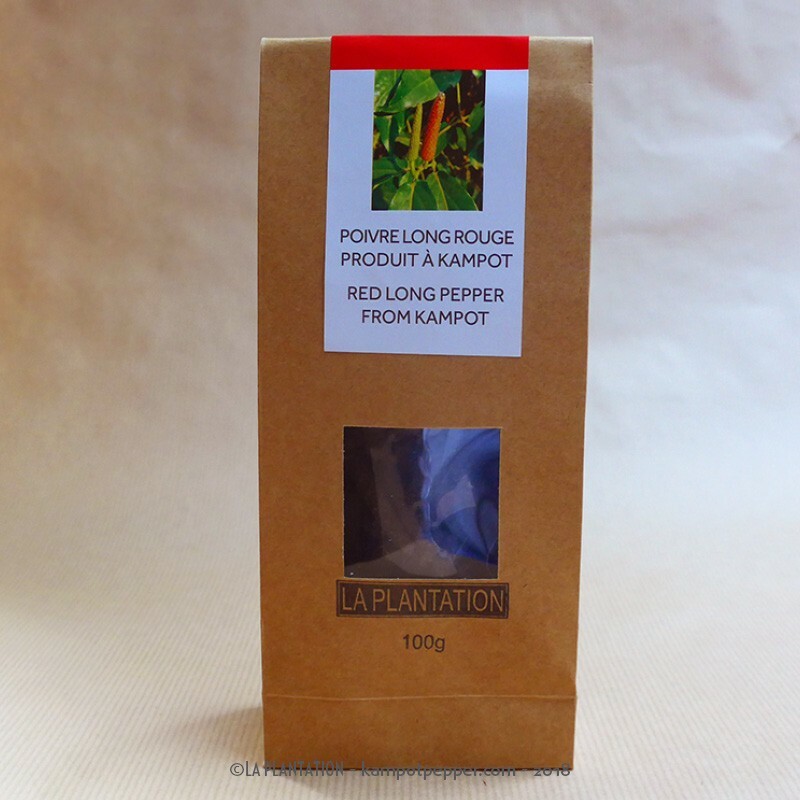 Kampot Red Long Pepper, "Piper retrofactum", is a flowering vine of the family of peppers, originally from Java, Indonesia. 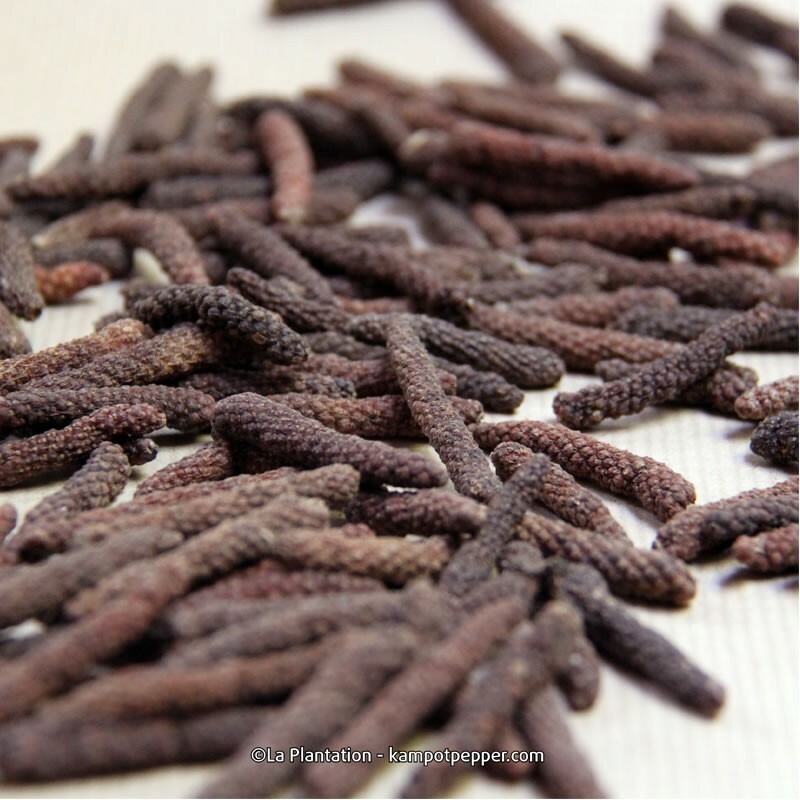 The first reference to long pepper appeared in Indian textbooks of Ayurvedic medicine, where its medicinal and dietary benefits are described in detail. Very popular in Roman and Greek times, it was one of the first spices to reach Europe, from the 6th or 5th century BC. Hippocrates mentions it as a medicine rather than a spice. The fruit is harvested when it is red and ripe. It is then washed, blanched and sun-dried for several days. Used as a spice or seasoning, it develops a complex flavor of chili and musk, tempered by sweet notes of chocolate, compote and gingerbread. The first impression in the mouth is sweet and the spicy strength comes in a second time. 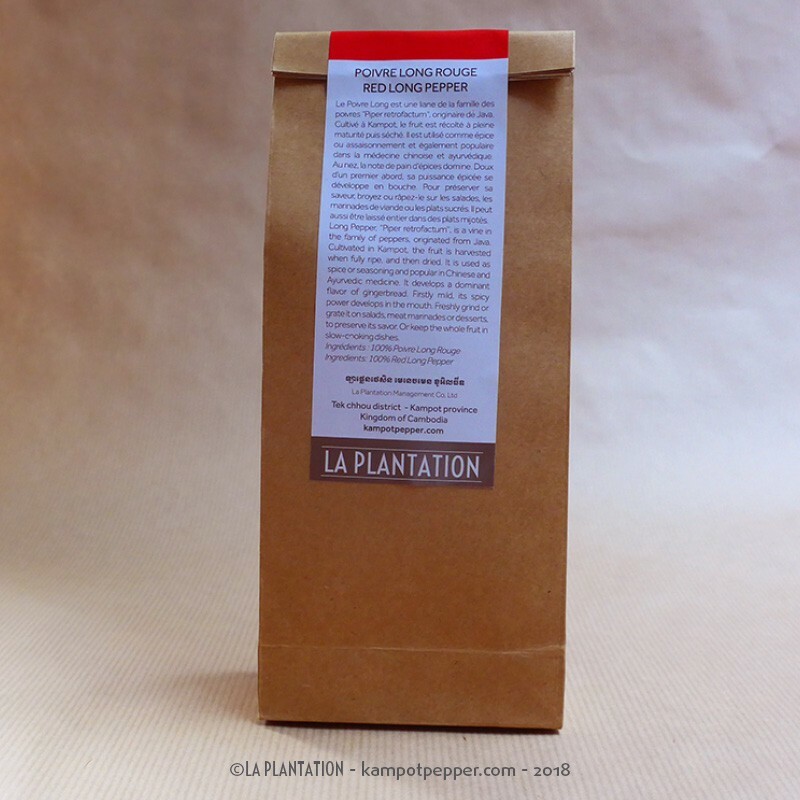 To use it, you can grind it, grate it or put it in small pieces in a traditional pepper mill. It is perfect for raising salads, meats, pâtés, purees or also on fresh or sautéed fruits, such as pineapple. It can also be ground in marinades for meat or be used whole to spice up your slow-cooking dishes. 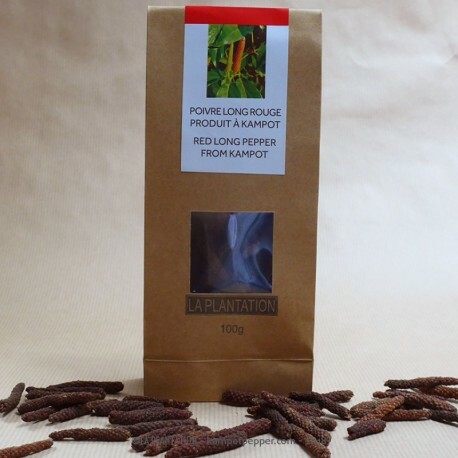 Once the package is opened, we recommend that you keep Kampot Red Long Pepper in a cool, dry place, away from light and moisture, so that it retains all its flavor and aroma.